2 independent relay output, respectively, control the cooling and heating, 0.1 accuracy, a constant value of spring, summer, autumn and winter, is the preferred product of constant temperature. When the display shows any value of P1-P7, press Set key once to enter the internal setting of P1-P7. When the temperature is lower than the interval will not immediately start the heating, the need to run the value will start p1, P1 value is set to seconds, if you do not need to delay, you need to immediately start to reduce the set value is 0, delay , The corresponding heating indicator will flash. When the temperature is higher than the interval will not immediately start heating, need to run P2 value will start, P1 value is set to seconds, if you do not need to delay, you need to immediately start to reduce the set value is 0, delay , The corresponding cooling indicator will flash. The temperature can be set to a high temperature alarm, when the temperature is higher than this value, the screen temperature flashes, the buzzer beeps, when the temperature is below the high temperature, the alarm automatically lifted. The temperature can be set to a low temperature alarm, when the temperature is below this value, the screen temperature flashes, the buzzer beeps, when the temperature is higher than the low temperature, the alarm automatically lifted. 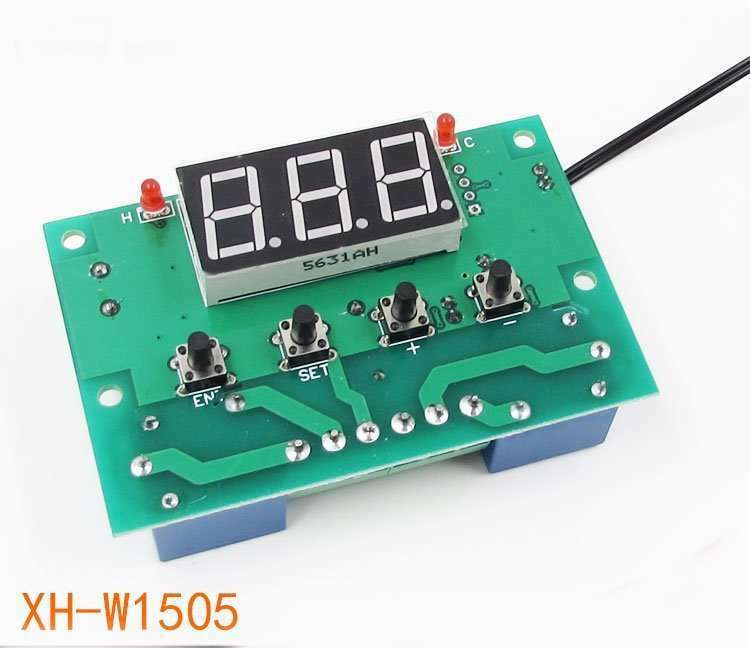 When the display temperature and actual temperature error, can be corrected by this function, the value of the correction will be automatically added to the real-time temperature. Current display temperature = Last display temperature + correction value. When set to ON, the set value can not be changed. If you want to change, please set to OFF and then change! A boiler to maintain the water temperature at 80-90 degrees, the water temperature is greater than 90 degrees, the thermostat to stop heating, when the water temperature down to 80 degrees, start the thermostat began to heat. 3. The setting is now completed. Please contact us to email: econtrol@smartclima.com or sale@smartclima.com ,we can supply a favourite item you need.